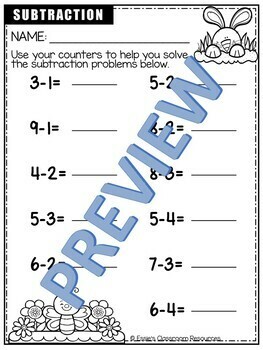 Help your kids master addition and subtraction skills with these activities. 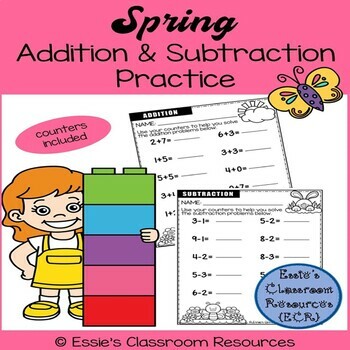 These Spring Addition and Subtraction Practice sheets are perfect for your math centers. 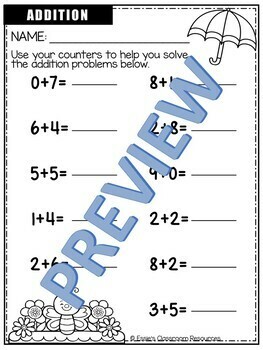 They can also be used for intervention or as assessment exercises. 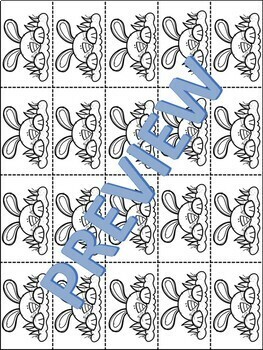 Simply print on 8 ½ x 11 paper, cut apart the counters and let students get to work.